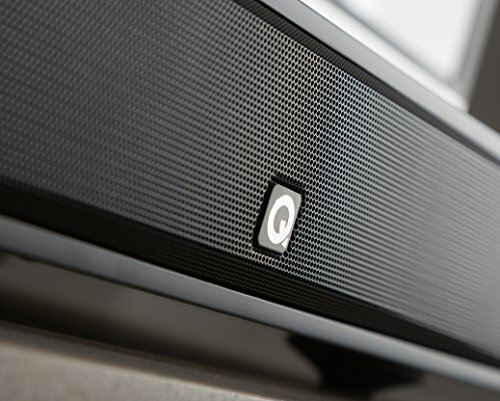 Q Acoustics’ approach seems to be ‘in for a penny, in for a pound’ when it comes to boosting TV sound. 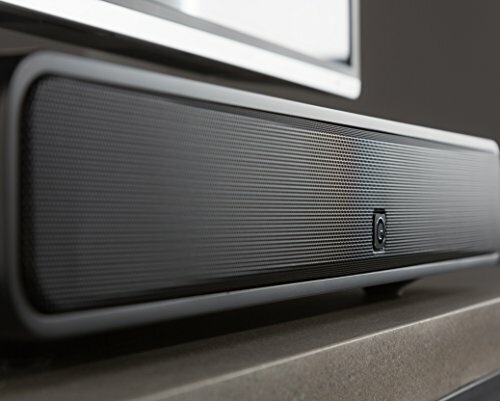 Following the success of its Awardwinning Media 4 soundbar and. to a lesser extent, the M3 follow-up. the British brand is making its soundbase debut with the M2. As we close the disc tray on a Blu-ray copy of Neon Demon, the M2 doesn’t waste a moment in revealing its talents. The opening credits are not only a window into Cliff Martinez’s fantastically eerily, eclectic score, but also Q Acoustics’ pleasing tonality and potential elsewhere. The downward-firing subwoofer digs deep to punch through the bassline, while the twin Balanced Mode Radiator speakers fight just as hard for the credit by delivering clear, sparkly chimes and energetic, synth-driven electronica. Scenes as densely sonic as they are visual, the photoshoots of the Los Angeles models sound as lively as they look, with the Q Acoustics affording body to beats and great dynamic range to the melodies. 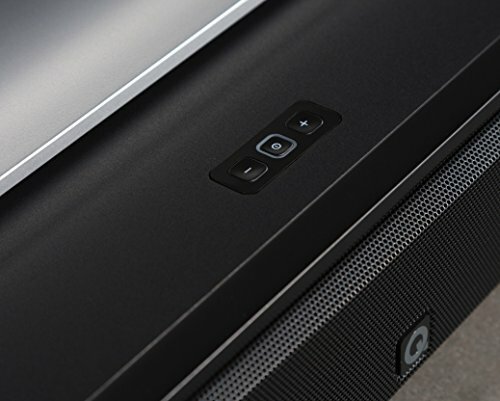 That clear, lively and musical character is in line with the company’s soundbars. so credit to Q Acoustics for its consistency. When the soundtrack calms, you can hear that vocal expression is just as impressive through the M2. It frames well the vindictiveness to the insults thrown around a room, and general deliberateness to the delivery of dialogue. And. 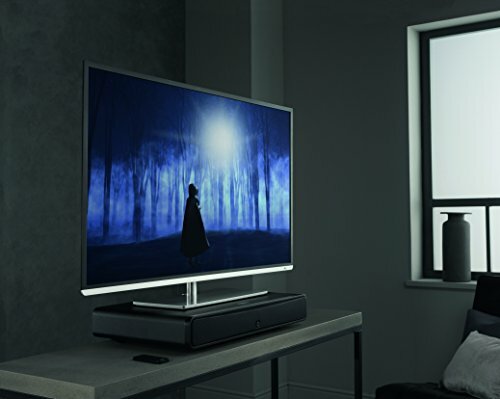 while there’s no DSP trickery good enough to make you believe that the sound is coming from anywhere but the base, the M2 throws out a soundfield that’s adequate even in the company of a 65in screen. The roar from the supercar’s engine reveals that there’s sufficient power behind those drivers, while the fact you can clearly hear jangling bells off-screen beneath it just goes to show its insight and spatial separation. Even the subtler (albeit dramatically drawn-out) sound of the camera’s capture reaches beyond the box’s physical proportions. Detailed, musical, punchy: all faculties that bode well for the M2’s music playback, for those inclined to use a soundbase in that way too. We Bluetooth a Tidal stream of The Cure’s Six Different Ways to the M2 and that adeptness is confirmed, with textured woodwinds and a jaunty piano line appearing confidently between Robert Smith’s chipper vocal. 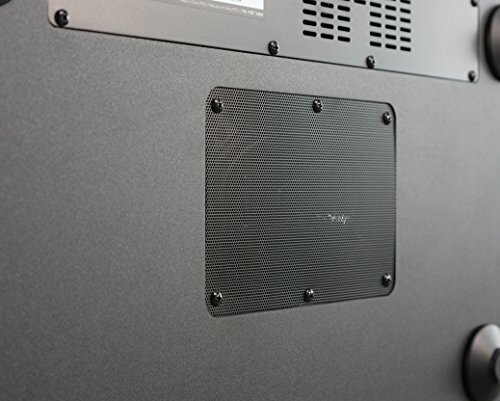 Behind the soundbase, there is also a pair of settings switches – one three-mode equaliser that toys with bass levels, depending on whether the M2 is under a TV or in a large or small cabinet, and a two-switch volume control. Physically, the M2 is sturdy enough to sit comfortably underneath a fairly big-screen TV. It can supposedly handle weight up to 25kg. which is a few kilos more than most 65in LCD tellies. Around the back you’ll find ARC- compatible HDMI, optical. 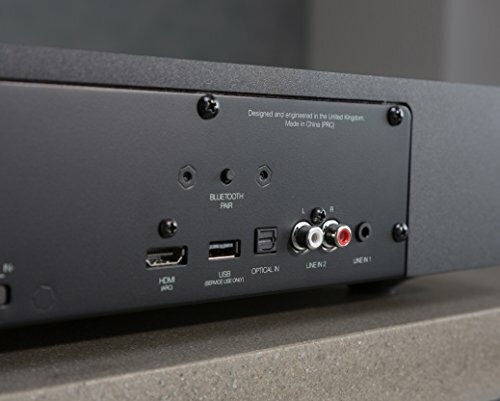 RCA and 3.5mm inputs. Those using the former can also use their TV remote to control the M2, which may be for the best given the unremarkable, credit-card-style one included. Still, that’s all we can really criticize the M2 for. 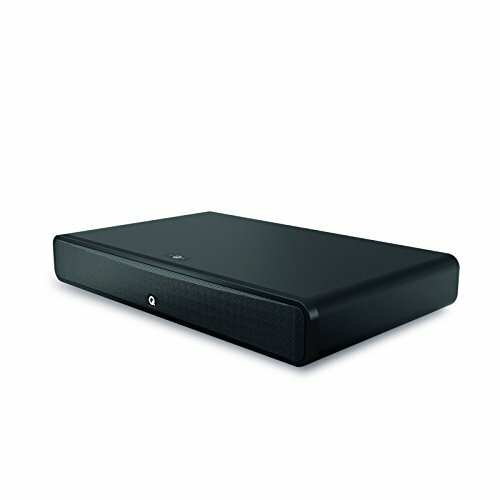 It isn’t the only soundbase capable of improving on a telly’s inherently tinny sound – after all. 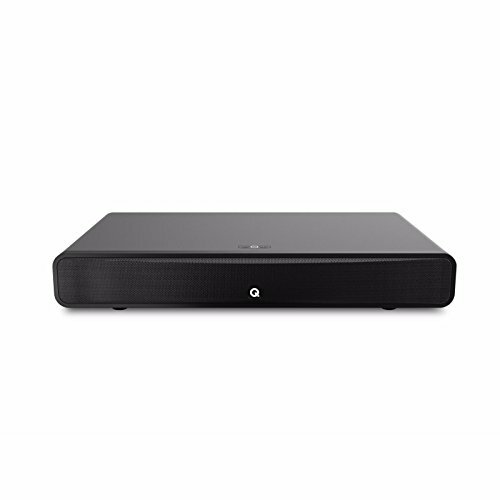 the likes of Canton and Cambridge Audio have proved themselves on multiple occasions in this price bracket over the past few years. But it does mean Q Acoustics can now confidently add ’soundbase’ to its long list of successes. About time. too. 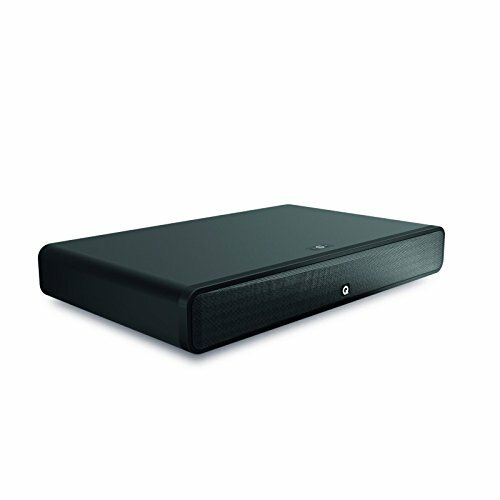 Q Acoustics can now add ’soundbase’ to its successes. The M2 is fantastic value for money. Size - (W x H x D) 21.65" x 3.6" x 13.30"